As worship leaders we can be very resourceful in the use of everyday items to enhance our weekly worship services! This blog is dedicated to sharing ideas we tried and (mostly) succeeded in creating awesome worship experiences on a budget. 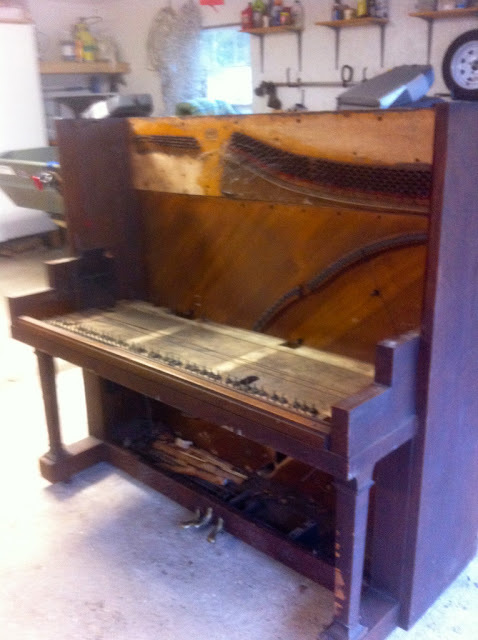 Do you have an old piano that is locked up in a dusty old storage room at the church? If so then get it out and convert it to a very unique piece of art! 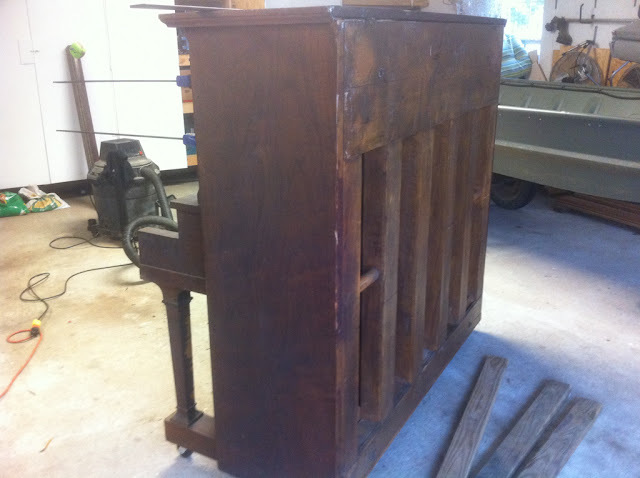 In our case, our worship pastor wanted to convert this old piano into a dual keyboard stand, as well as a place to stick the laptop for loops and click. 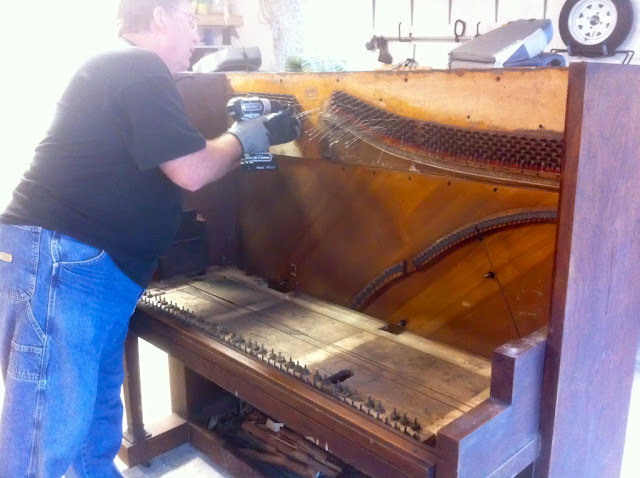 The first step was to gut the piano and get all the HEAVY stuff out of it. 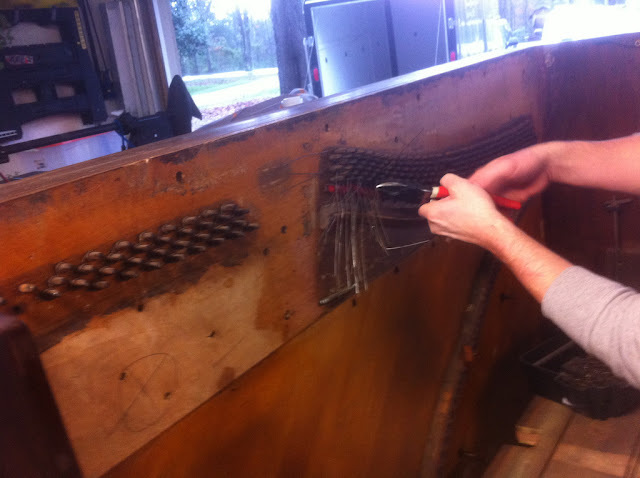 We carefully removed the top and front to reuse once we installed the shelves. A huge chuck of cast iron, all the keys and hammers and all the wires had to removed. Please wear gloves and eye protection. These strings are still tight and can pop you in the face. Demolition is complete! We left a lot of the old hardware because we thought it looked pretty cool! Also, if we tried to remove it, it might have damaged the wood. We had to bolt down the brass pedals at the bottom because they were loose and kinda flopping around. Once we finished the demolition, we put on new casters on the bottom so it would be easy to move around while we were working on it. We put new casters on it so it would be easier to move around. Now it is time to start building it back up! We cleaned and sanded the bottom base. Yes, it had some holes in it where the original piano hardware was, but who cares, the keyboard will cover it up. 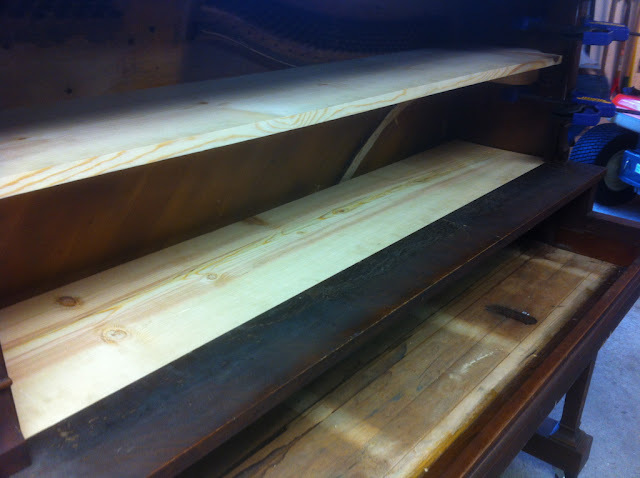 We then recycled some of the original wood of the piano to make a secondary shelf. This shelf can be used as another keyboard level, or to place music book or laptop. 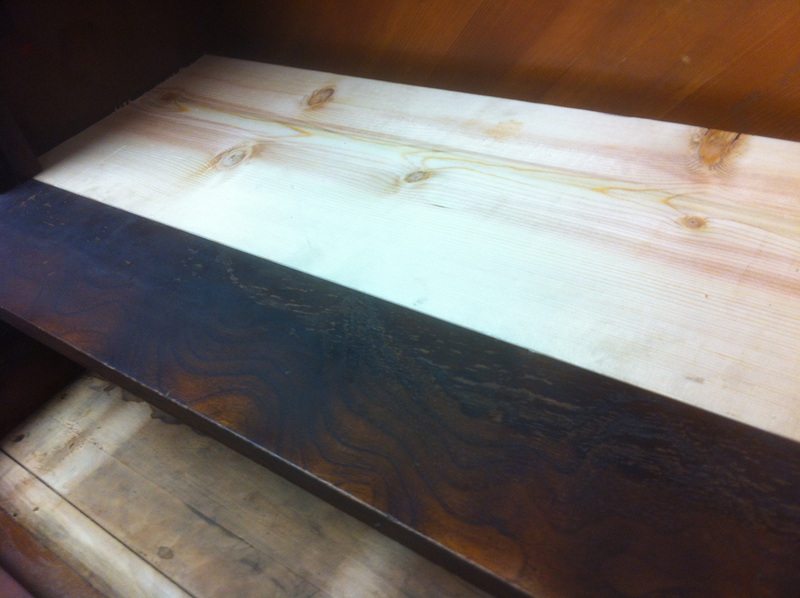 You can see that we put the trim pieces back on the top front edges once we put the shelf in place. Then we made another third shelf level just for the heck of it! 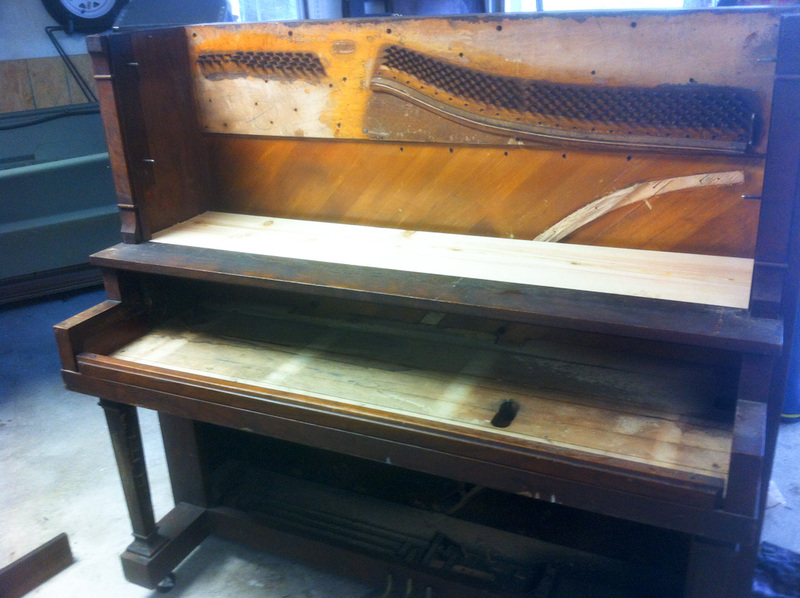 Here is a shot of the back of the piano. We put the top back on and the rebuild is complete! 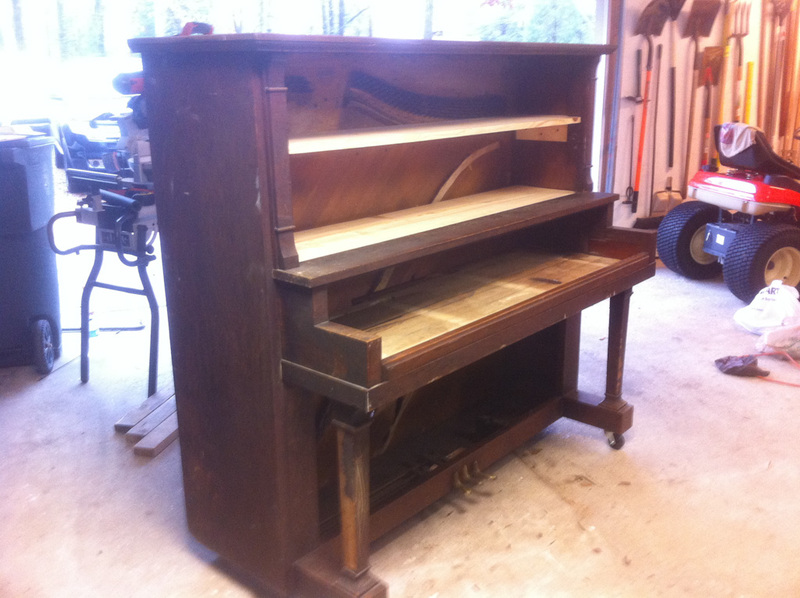 We converted this old abandoned piano, gutted it and rebuilt the inside as a functioning piece of furniture. We are using it for a keyboard stand, but this could just as easily be used as a book shelf or other beautiful piece for a living room. It was raining the day we worked on this, so painting wasn't an option. I'll try to post a finished photo in a few weeks when we get a chance to put the finish on it. Our plan is to paint it black over the stain, and then sand off the paint to reveal some of the stain to give it a distressed look. UPDATE: We finally got it finished and it looks fantastic! We will be loading up our keyboard into it and using it this SUNDAY! Here it is on stage with the keyboard in place! How much did this weigh once completely gutted? We are interested in doing this in our student ministry, but we are limited as to how much weight our stage can hold. We need the body/casing/frame to be as light as possible once completely gutted. 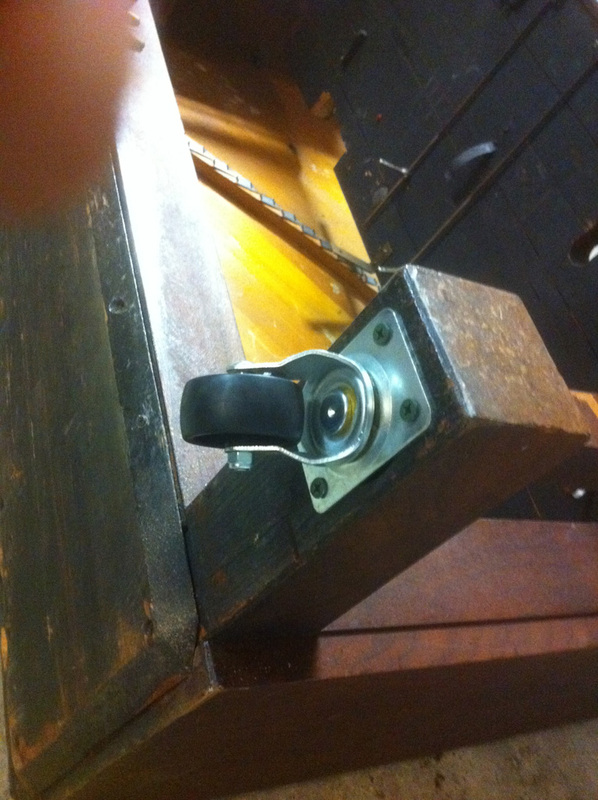 Once you take out the "iron" or "brass" weight that's in the base of the piano, it is very light. The wood of our piano was older and not a real dense wood, so weight may vary based on the type of wood.